Kelly Watson again coordinated the annual Daffodil Day collections across Parnell & Newmarket this year. The sun was (mostly) out and donations were very generous. Steve gladly took some time out of Friday to help pounding the pavements. A charity dear to our team on many different levels as it also is for 1 in 3 New Zealanders. AMP honoured its top achievers for 2017 last week in Auckland. We are proud to announce Steve Morris took out the AMP Adviser of the year award for 2017 and was a finalist in the Group Insurance space. Congratulations to all of the top achievers. 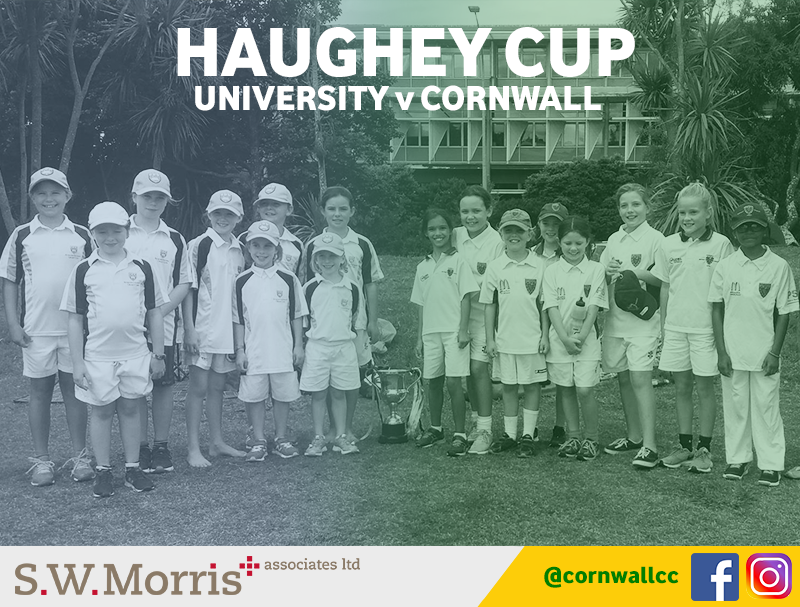 The SW Morris & Associates Junior Girls Tournament was hosted by Cornwall on Sunday 18th March. The Mini Hearts and Junior Hearts had a great couple of games against Ellerslie playing off for the Trophy. Ending the tournament with a draw (and a delicious Sausage Sizzle) - the girls look forward to defending the cup again next year. AMP was founded to help people own their tomorrow, and partnering with the Key to Life Trust to help counter the high rates of suicide in our country is another step in that journey. We’re getting behind AMP and the I AM HOPE TOUR, which will see a team led by Mike King riding from Bluff to Cape Reinga on scooters painted by famous Kiwi artists, delivering their message of hope to schools and communities along the way. February was Gynaecological Cancer Awareness Month where Teal ribbons were being sold across the country to educate communities and raise awareness about all Gynaecological Cancers and support those affected. NSP in Parnell hosted an Ovarian Cancer charity lunch in support, where all proceeds on the day went to the Foundation. It was great to have Kelly from our office in attendance for a charity SW Morris & Associates strongly supports. Meeting with a financial adviser to discuss your current financial health, your goals & how to ensure you are on the right track towards true financial fitness! Our team took some time out of their work day on Friday 25th August to take part in the annual Daffodil Day Street Appeal. Proudly, Kelly Watson from our office took on an area-coordinator role this year organising a number of collection points across Newmarket & Parnell & volunteers to fill the two-hour slots. A great cause and one our business continues to support. (Bloomberg) -- New Zealand’s central bank said risks to the nation’s financial system have receded after house-price inflation slowed and global dairy prices recovered from a slump. “New Zealand’s financial system remains sound and the risks facing the system have reduced in the past six months,” Reserve Bank Governor Graeme Wheeler said in the bank’s semi-annual Financial Stability Report Wednesday in Wellington. Still, he warned that global uncertainty remains elevated and that New Zealand would be vulnerable if a sharp reversal in risk sentiment drove up borrowing costs for banks. New Zealand home-owners have built up record amounts of debt in recent years as house prices soared, which may leave many stretched if borrowing costs were to rise quickly. Wheeler has cut his benchmark interest rate to a record low of 1.75 percent to spur weak general inflation, requiring him to introduce lending restrictions in an attempt to curb housing demand. He said today that those restrictions have caused house-price growth to slow over the past eight months. However, “house prices remain elevated relative to incomes and rents, and any resurgence would be of concern,” Wheeler said. A recovery in dairy prices over the past year had reduced risks faced by the dairy sector, though some parts of carry excessive debt and remain vulnerable, the RBNZ said. New Zealand’s banking system “maintains strong capital and funding buffers, and profitability remains robust,” the central bank said. Still, banks had increased reliance on offshore funding for credit growth and remain exposed to a shift in global sentiment. “A sharp reversal in risk sentiment could lead to higher funding costs for New Zealand banks and an increase in domestic borrowing costs,” the RBNZ said. Emmanuel Macron’s win in the French Presidential election is good news for France and the Eurozone. Mr Macron appears to have secured around 66% of the vote to 34% for the National Front’s Marine Le Pen. In electing a President whose party En Marche! is only a year old, the French electorate has rejected the political establishment. That said, voter turn-out was low suggesting a level of dissatisfaction with both candidates. The good news is France has chosen a liberal reformist President who is second only to Angela Merkel in his support of the Euro-project. France has been, along with Italy, one of the Eurozone’s poor economic performers. Low growth, poor productivity and high unemployment are key features of France’s recent economic performance. A solid dose of structural reform is urgently required. France needs Mr Macron to deliver. Pro-free-trade: in fact he was the only free-trade advocate in the presidential campaign. Attention now turns to how much of his programme the new President is able to implement. Critical to this is whether En Marche! can win a parliamentary majority in next month’s National Assembly elections or whether some form of coalition will be required, most likely with the centre-right Republicans. Not only is this an opportunity for France to undertake much needed reform, it’s a massive opportunity for Europe to also push on with strengthening the framework of the currency union. We began this year with concern about the upcoming elections in Europe and what that might mean for the stability of the Eurozone. So far we have seen wins for pro-Europe governments in the Netherlands and now France. German Bundestag elections come later this year in October, but both likely candidates for Chancellor, Angela Merkel and Martin Schulz, are staunchly pro-Europe. Italy remains a risk with an election next year. But in the meantime, it would be disappointing if Europe’s leadership were to squander the newly re-committed support for a unified Europe. We have maintained our over-weight to developed market equities over the course of the year on the back of the improved growth and earnings outlook. With the French election now out of the way another source of potential risk is behind us and we expect growth assets to respond positively to this outcome. Diana Clement, Herald on Sunday: "Your house is not an ATM"
Just chuck it on the mortgage. That's what home-owning Kiwis do when they want to buy consumer goods that they can't really, truthfully afford. Most of us love the latest model phone, flash laptops, TVs, newer cars, designer kitchens and bathrooms and lots of bling. What's changed over the past 25 years for the average red-blooded Kiwi is that we're using our homes like ATM machines, says Mark Lister head of private wealth research at Craigs Investment Partners. We roll our consumer spending into the mortgage because we can. The banks' willingness to let us extend the mortgage means we get away with it. The ATM approach to our homes represents a major behavioural sea change since the 1980s. We can go to the bank and extend our mortgages to cover almost any spending we wish. Lister says many people can't really afford the consumer goods they're buying but give into temptation due to the wealth effect of rising house prices. Financial adviser Steve Morris, of SW Morris & Associates, points out that revolving mortgages allow us to dip into home equity without even going to the bank to ask for more money. Morris says nine out of 10 of his clients who have revolving credit mortgages misuse them. One client even bought a $60,000 boat that way. We're short-sighted and don't really think how we'll survive financially when we put our feet up for good. NZ Super payments are based on the premise that most Kiwis will own their home mortgage free by age 65. What's more, KiwiSaver was designed to be drip-fed throughout retirement to supplement the meagre NZ Super. The problem is that we're in effect borrowing the KiwiSaver pay out before we receive it. Just look across the Tasman. Mortgage application forms ask how much Aussie Super the borrower has. The banks make the assumption that this will be used to pay off the mortgage come retirement. The more I think about the ramifications of this, the sicker I feel. The Australian Bureau of Statistics found that the number of retirees withdrawing their super in lump sums has more than doubled in a decade. According to News Corp, in Australia 26 per cent of those withdrawals were funnelled into the home, 13 per cent paid for a holiday and 12 per cent were paying down debts. We're just as good as the Aussies at building up that debt. Mortgage broker Jeff Royle, of iLender, sees clients doing it day in, day out. "They slap [consumer spending] on the mortgage over 20 years. "The bank says 'it's serviceable' and the client goes 'yip-te-do'. "They think, 'I was paying $1500 a month instalments and now I'm paying $600." Royle has just settled a mortgage for a couple in their 30s who had $104,000 worth of what he calls "crap debt" spent on holidays and consumer goods. If banks are lending on the assumption it will be paid off with the KiwiSaver lump sum at age 65, the individual is back to square one of eking out a lot of retirement years on a very low income, which could get lower if governments of the day so desires. The credit culture means that people are also reaching retirement with consumer debt ranging from HP to car and personal loans, which will have to be paid off somehow. Anyone who thinks all this debt is essential should take fewer hallucinogenic drugs. When putting a car or other more expensive spending such as home renovations on the mortgage, borrow that portion of the money over a shorter period, says David Boyle general manager investor education at the Commission for Financial Capability. If, for example, you're borrowing $50,000 to buy consumer goods or refinance the debt off credit cards, pay that chunk off sooner. That's less harmful than paying it off over 20, 25 or 30 years. Boyle points out that if he added $50,000 to his mortgage over five years, the total interest paid would be $7,655 at 5.8 per cent. Borrowed over 10 years, the interest on the same $50,000 would be $15,948 and over 20 years, it's $34,675. "That's around two-thirds of the original cost of the car," he says. "Crazy; not forgetting by that time the cars value is now $1000 if you are lucky. Even better, try to become more aware of the long-term implications of what and how you're borrowing. The final word goes to Lister, who says something refreshing, or even revolutionary for 21st-century New Zealand. "Rather than using the lowest interest rates in 50 years to rack up more debt, people should think about upping their mortgage payments to smash that debt away while the interest costs are low. Better to make hay while the sun shines." Pay $0 member and admin fees for an entire year with the AMP KiwiSaver Scheme! The AMP KiwiSaver Scheme provides choice of 28 funds from a variety of providers including AMP, ANZ, ASB and Nikko. No other Scheme gives members as much choice. If you make a voluntary contribution of $50 or more you will go in the draw to win one of five KiwiSaver $1,000 future boosters. Promotion runs to 13th April 2017. December inflation data is expected to show annual headline inflation back inside the Reserve Bank of New Zealand's (RBNZ's) 1-3% target band, the first time in it will have been inside the band since September 2014. Such an outcome will more than likely see the RBNZ confirm the easing cycle is over when it releases its next Monetary Policy Statement on February 9th. The big question for markets now is how long will it be before we see an interest rate increase? The best answer to that right now is "it depends". We wish you a very Merry Christmas and trust you have a safe and happy time with friends and family over the festive season. Please be advised that over the Christmas break our office will be closed from the 22nd December & reopen on the 9th January. Thanks to the AMP Essentials campaign earlier this year, SW Morris & Associates hosted a brilliant night at Billy Elliot, ASB Waterfront Theatre last Thursday 24th Nov.
AMP's Blair Vernon talks to Paul Henry about trauma insurance and how it can help with healthcare costs and keep your life running when you are unable to work due to illness. The Reserve Bank today reduced the Official Cash Rate (OCR) by 25 basis points to 2.25 percent. Read on to find out more.